Modern cars these days tend to come with proximity keys, which allow the driver to unlock and start the vehicle without having to remove the key from one’s pocket. While this is a great usability upgrade, for some reason key fobs continue to be bulky plastic monstrosities that when stuffed into a pocket can easily ruin the lines of a well-chosen outfit. This wasn’t good enough so [Patrick] decided to sort it out. Starting with a Prius key, the first step was to disassemble the already broken key fob and separate out the PCB from the case and battery holder. With those removed, a coin cell was soldered to some wires connected to the PCB. As a substitute for the original case, a plastic card was cut up and the PCB inserted within, allowing the setup to fit neatly in a wallet’s card pocket. Lashings of tape bring the project home. Unsurprisingly, it works, and works well. It raises the question why key fobs are so large and ungainly, taking up so much precious pocket space. We’d love to see even slimmer takes on this with 3D printed enclosures or even completely redesigned PCBs. Give it a go, and hit up the tip line. Else, check out how key fobs are routinely hacked to steal cars. Sometimes, when you’re driving, a simple wave when someone lets you in can go unnoticed and sometimes you make a mistake and a simple wave just isn’t enough. [Noapparentfunction] came up with a nice project to say ‘Thanks’ and ‘My Bad’ to his fellow drivers. The display uses four Max 7219 LED matrix displays, so the total resolution is 32 by 8. [Noapparentfunction] came up with an inspired idea: using a glasses case to hold the LED matrices and Raspberry Pi. It’s easy to get into if necessary, stays closed, and provides a nice finished look. Having little knowledge of electronics and no programming skills, [Noapparentfunction] had to rely on cutting and pasting Python code as well as connecting a mess of wires together, but the end result works, and that’s what matters. A network cable runs from the glasses case suction cupped to the rear window to another project box under the dashboard. There, the network cable is connected to two buttons and the power. No network information is passed, the cable is just a convenient collection of wires with which to send signals. Each of the buttons shows a different message on the display. Depending on where you live, this might not be legal, and we’re sure many of our readers (as well as your author) could come up with some different messages to display. However, this is a cool idea and despite [Noapparentfunction]’s admitted limitations, is a nice looking finished product. Also, its name is Road Apology Gratitude Emitter. 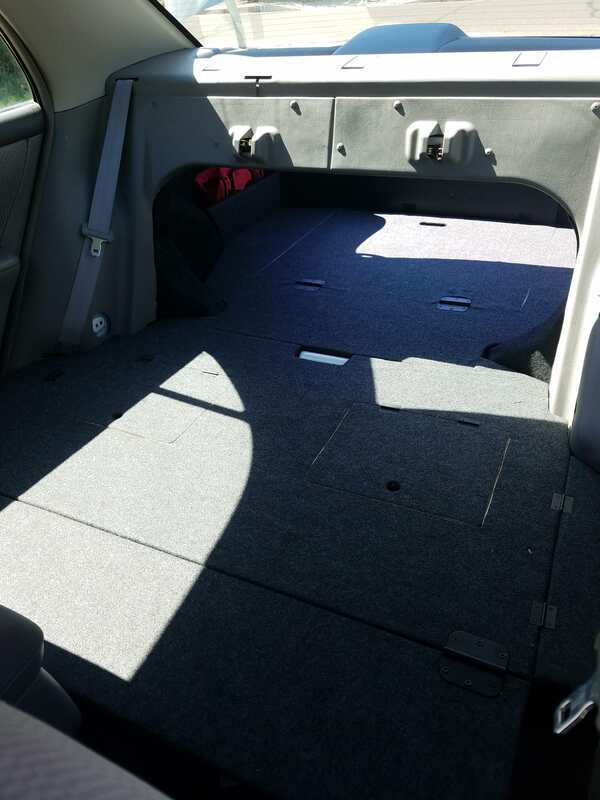 Here are some other car mod articles: This one adds some lighting to the foot well and glove compartment and this one on the heinousness of aftermarket car alarms. If you have a car parked outside as you are reading this, the overwhelming probability is that it has a reciprocating piston engine powered by either petrol(gasoline), or diesel fuel. A few of the more forward-looking among you may own a hybrid or even an electric car, and fewer still may have a piston engine car powered by LPG or methane, but that is likely to be the sum of the Hackaday reader motoring experience. We have become used to understanding that perhaps the era of the petroleum-fueled piston engine will draw to a close and that in future decades we’ll be driving electric, or maybe hydrogen. But visions of the future do not always materialize as we expect them. For proof of that, we only need to cast our minds back to the 1950s. Motorists in the decade following the Second World War would have confidently predicted a future of driving cars powered by jet engines. For a while, as manufacturers produced a series of prototypes, it looked like a safe bet. 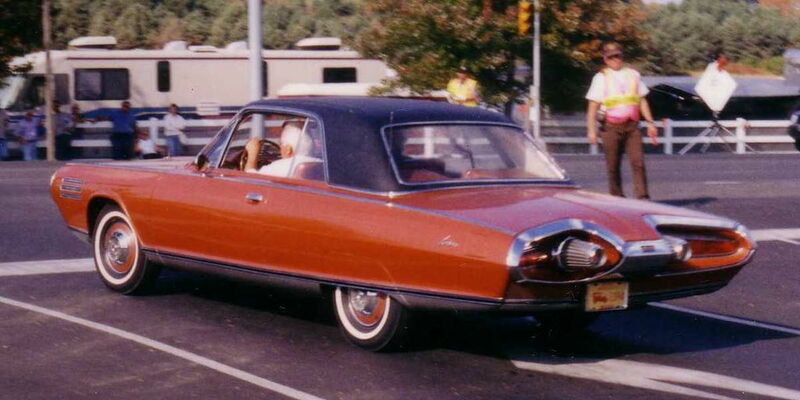 The Chrysler gas turbine car from [Bryan]’s article. CZmarlin [Public domain]. Back in August, my colleague [Bryan] wrote a feature: “The Last Interesting Chrysler Had A Gas Turbine Engine“, in which he detailed the story of one of the more famous gas turbine cars. But the beautifully styled Chrysler was not the only gas turbine car making waves at the time, because meanwhile on the other side of the Atlantic a series of prototypes were taking the gas turbine in a slightly different direction. Rover was a British carmaker that was known for making sensible and respectable saloon cars. They passed through a series of incarnations into the nationalized British Leyland empire, eventually passing into the hands of British Aerospace, then BMW, and finally a consortium of businessmen under whose ownership they met an ignominious end. If you have ever wondered why the BMW 1-series has such ungainly styling cues, you are looking at the vestiges of a Rover that never made it to the forecourt. The very successful Land Rover marque was originally a Rover product, but beyond that sector, they are not remembered as particularly exciting or technically advanced. The Rover JET1 prototype. Allen Watkin [CC BY-SA 2.0]. At the close of the Second World War though, Rover found themselves in an interesting position. One of their contributions to war production had been the gas turbine engines found in the first generation of British jet aircraft, and as part of their transition to peacetime production they began to investigate civilian applications for the technology. 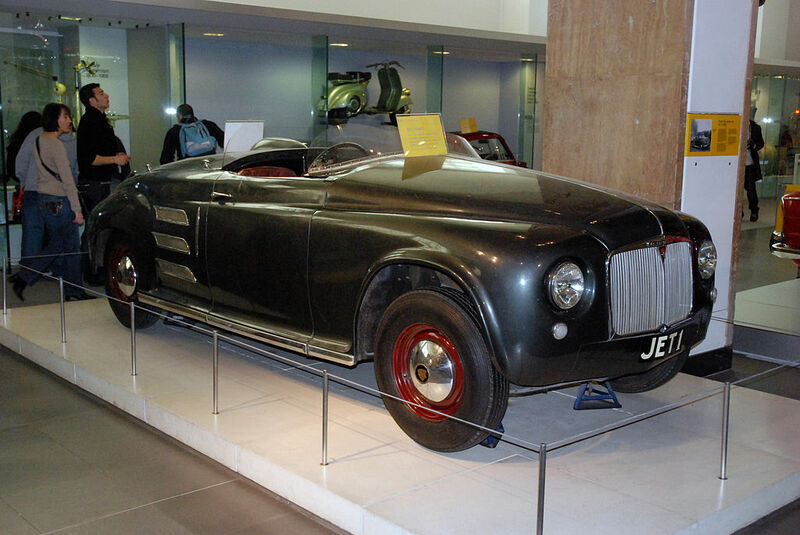 Thus the first ever gas turbine car was a Rover, the 1950 JET1. Bearing the staid and respectable styling of a 1950s bank manager’s transport rather than the space-age look you might expect of the first ever gas turbine car, it nonetheless became the first holder of the world speed record for a gas turbine powered car when in 1952 it achieved a speed of 152.691 MPH. The JET1 was soon followed by a series of further jet-powered prototypes culminating in 1956’s T3 and 1961’s T4. Both of these were practical everyday cars, the T3, a sports coupé, and the T4, an executive saloon car whose styling would appear in the 1963 petrol-engined P6 model. There was also an experimental BMC truck fitted with the engine. The P6 executive car was produced until 1977, and all models were designed to have space for a future gas turbine option by having a very unusual front suspension layout with a pivot allowing the spring and damper to be placed longitudinally in the front wing. The Rover-BRM racing car at Gaydon. David Merrett [CC BY 2.0]. 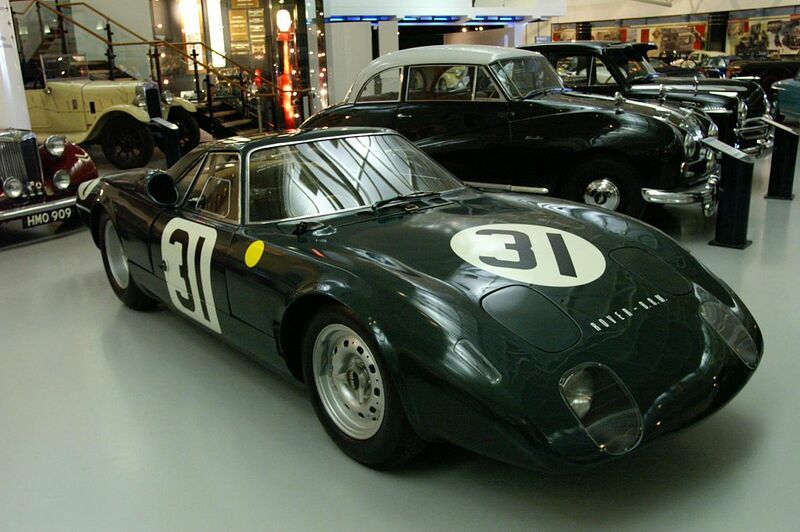 It was not only prototypes for production cars with gas turbines that came from Rover in the 1960s though, for in 1963 they put their gas turbine into a BRM racing chassis and entered it into the Le Mans 24 hour endurance race. It returned in the 1964 season fitted with a novel rotating ceramic honeycomb heat exchanger to improve its efficiency, racing for a final season in 1965. The fate of the gas-turbine Rovers would follow that of their equivalent cars from other manufacturers including the Chrysler covered by [Bryan]. Technical difficulties were never fully overcome, the increasing cost of fuel made gas turbine cars uneconomic to run, and meanwhile by the 1960s the piston engine had improved immeasurably over what had been available when the JET1 had been produced. The Rover P6 never received its gas turbine, and the entire programme was abandoned. Today all the surviving cars are in museums, the JET1 prototype in the Science Museum in London, and the T3, T4, and Rover-BRM racing car at the Heritage Motor Centre at Gaydon. The truck survives in private hands, having been restored, and is a regular sight at summer time shows. As a footnote to the Rover story, in response to the development of JET1 at the start of the 1950s, their rival and later British Leyland stablemate Austin developed their own gas turbine car. If international readers find Jet1’s styling a bit quaint compared to the American jet cars, it is positively space-age when compared to the stately home styling of the Sheerline limousine to which Austin fitted their gas turbine. Rover T4 gas turbine header image: Matthias v.d. Elbe [CC BY-SA 3.0].